How do I find microfiche or microtext? - Ask Us! Q. How do I find microfiche or microtext? Below is a guide to the microtext collections which can help you get started. 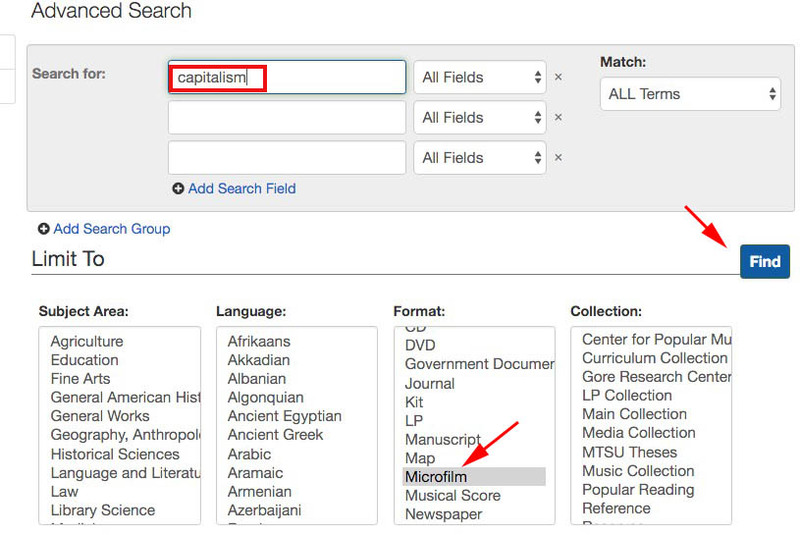 Another way find microtext is to search the Library Catalog. Choose Advanced Search and enter your search terms. Choose Microfilm from the Format box. Click Find. I'm afraid this may not be an easy search as microfilm is generally a format of last resort, not a choice.